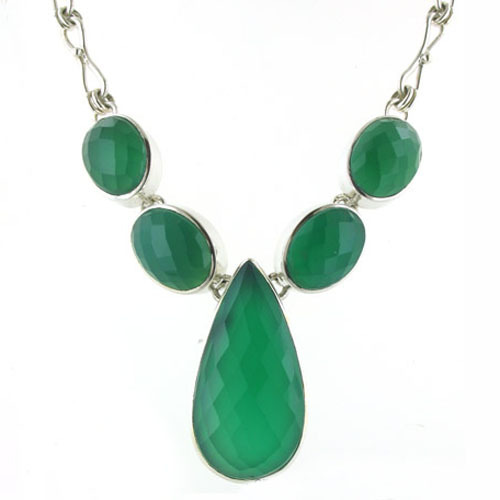 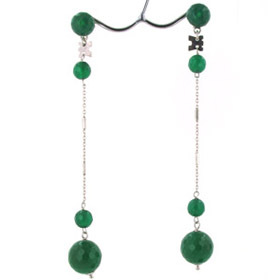 Statement green onyx silver necklace. This fabulous dramatic necklace features beautiful quality gemstones. 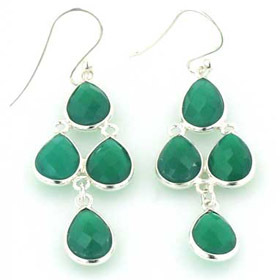 The checker cut gemstones sparkle in the light which accentuates the lively green colour. 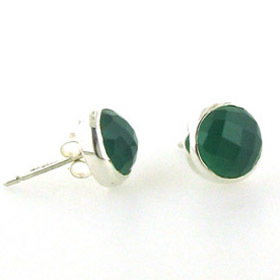 Checker cutting creates a checkerboard appearance across the surface of the stones and provides many facets to add sparkle to the rich emerald green colour. 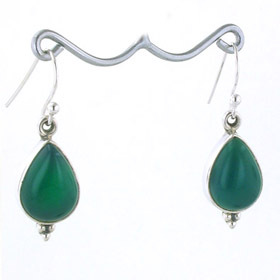 These are large green onyx stones chosen for evenness and depth of colour. 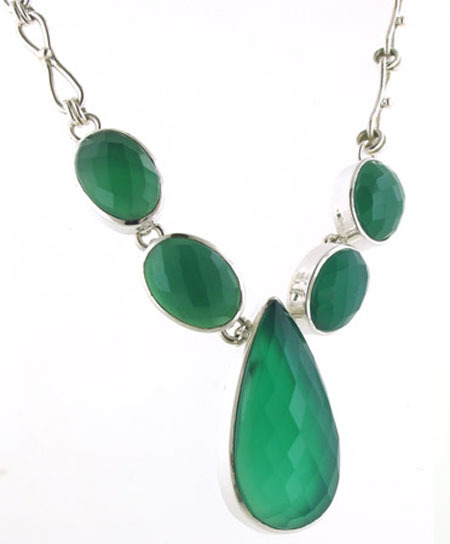 Completing the necklace is a beautiful hand made sterling silver chain. 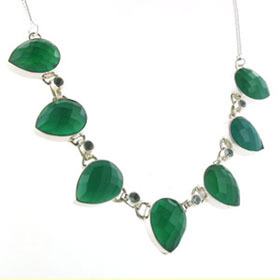 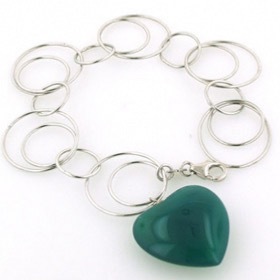 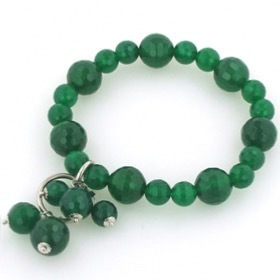 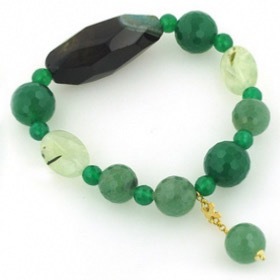 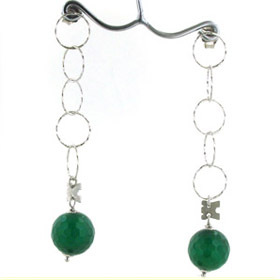 See all our green onyx jewellery for fabulous vibrant coloured jewellery.